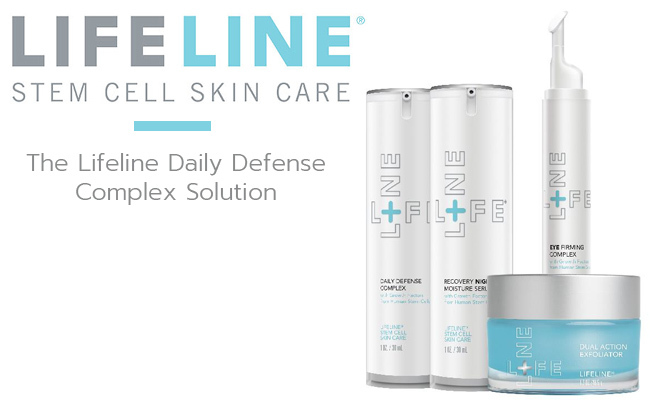 What’s so special about the Lifeline Daily Defense Complex? Let’s take a closer look at its formula! How to use the cream? How does it feel when using it? What are the main features? Are its downsides major? No matter how healthy you eat or how much you exercise, you’re still going to have to use good cosmetic products so that your skin looks healthier and younger every time. From the concentrated serum to the revolutionary ingredients, the options are plenty and numerous and choosing the right one for you can put you in a great spot. The cream stands out from the other cosmetic options with its strong peptides formula. It’s made with non-embryonic human stem cell derivatives that stimulate the natural production of collagen. Due to its powerful formula, the cream helps the skin get brighter and the skin tone more even. It’s great to lessen the visibility of fine lines and wrinkles, hydrating the skin at the same time. The cream is also able to improve your skin’s barrier in order the minimize the risk for dehydration and loss of moisture. In the end, the cream is strong enough to restore the looks of your skin, making it firmer and tighter. As previously mentioned, the cream is based on non-embryonic human stem cell derivatives that seem to be the body’s building blocks. They increase the natural production of collagen. Hyaluronic acid– is able to seal the moisture in the skin. It protects the skin against the sun’s bad UVs and smooths the skin. It also lessens the appearance of wrinkles and leaves it naturally shining. It also hydrates the skin. Algae extract-helps the skin become suppler. It has anti-aging abilities and moisturizes the skin. It’s a great ingredient for the sensitive and dry skin, loaded with vitamin A, B, C and E.
Shea butter-reduces inflammation in skin and leaves it smoother. It’s a reliable moisturizer for the skin. Rosemary leaf extract-it’s an anti-inflammatory ingredient that alleviates pain and treats acne. It prevents sun damage and tightens the skin. It also improves the circulation and keeps insects away from skin. Sunflower seed oil-is loaded with vitamin E and hydrates the skin. It also nourishes the skin and protects against the UVs. It’s antioxidant and controls acne. It improves your skin’s appearance and calms a dry skin. It sooths and heals the skin, moisturizing it as well. Ubiquinone (COQ10)-penetrates easily into the skin and is a great anti-oxidant. It boosts collagen and elastin production, which translates into younger looking skin. Citric acid-is good for evening your skin tone. It unclogs the pores and fades out sun spots. It’s a major ingredient for the acne-prone skin and diminishes wrinkles. The cream doesn’t include parabens and it’s safe for most skin types too. The cream is easy to apply on a clean face. For better results, you should always apply it on a cleansed face, neck and décolleté. The scent is subtle and doesn’t linger long on your skin. You may very well follow the cream with your typical cosmetic products. The cream glides smoothly onto your skin and it’s easily absorbed too. It doesn’t leave a greasy residue nor an oily feel afterwards. It rejuvenates the damaged cells and helps your skin gaining back its healthy appearance. It also protects against the UV exposure and refreshes the skin. We’re pretty sure the good parts outweigh the bad in this cream so here are the pro and con lists for easier understanding. The cream may surprise you with its ingredients and its main ingredient may be out of your comfort zone. Additionally, the cream isn’t cheap either. However, the cream stands out with an impressive ability to minimize the appearance of fine lines and wrinkles, leaving your skin smoother, and more even in tone. Therefore, are you willing to pay the price for a younger looking skin? Also read our reviews on these products: Chantecaille Blanc Gardenia Brightening Essence, Dr Dennis Gross’ C Serum, Murad Skin Perfecting Lotion, SkinBright Skin Brightener, 20% CE + Ferulic Serum by Nieuw Beauty.